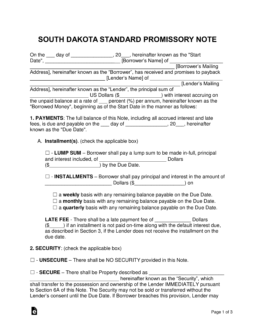 The South Dakota promissory note templates bind a borrower and a lender into a legal deal requiring the borrower of a monetary balance to reimburse the lender in a scheduled and complete fashion. The lender in the transaction makes a profit by receiving interest on top of the original balance. 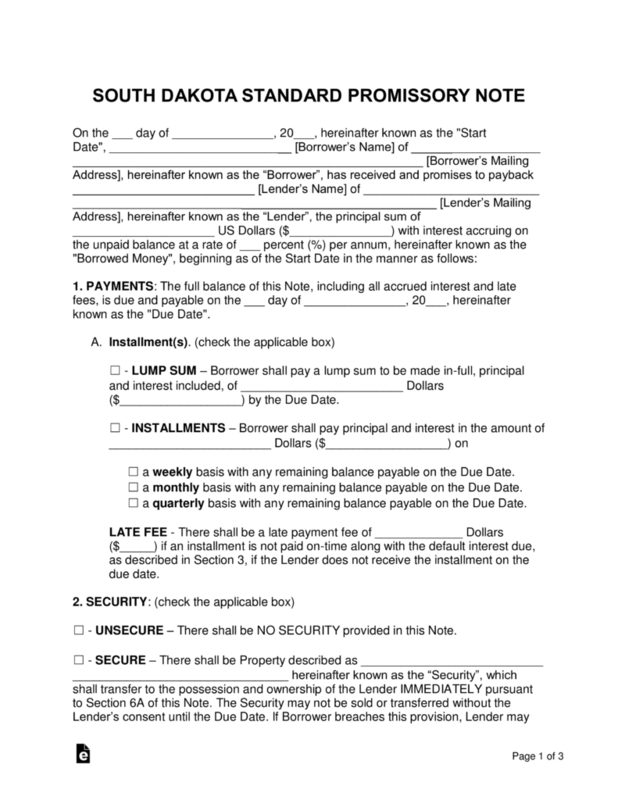 Secured Promissory Note – Includes a section where the borrower sets aside an item such as a home, vehicle, or boat. This item is given to the lender to help cover the unpaid balance if the borrower is unable to recover after entering into default. Unsecured Promissory Note – Does not include a section on security. This adds financial risk to the transaction for the lender; it is recommended that the lender is careful in selecting a borrower by ensuring the potential borrower has a strong credit score and positive referrals.